Australian National Maritime Museum and Sydney Opera House are good opportunities to explore the local culture. 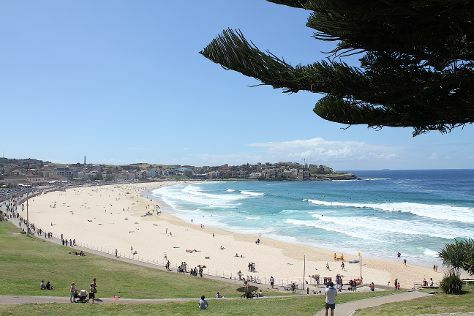 You'll get in some beach time at Bondi Beach and Clovelly. Venture out of the city with trips to Canyoning & Rappelling Tours (in Katoomba), Australia Walkabout Wildlife Park (in Calga) and Logan Brae Orchard (in Blackheath). Spend the 13th (Sun) exploring nature at Sydney Harbour National Park. There's much more to do: take a stroll through The Rocks, admire the masterpieces at Art Gallery of New South Wales, look for all kinds of wild species at Muogamarra Nature Reserve, and enjoy the sand and surf at Manly Beach. For ratings, more things to do, other places to visit, and tourist information, go to the Sydney trip planning website . If you are flying in from Canada, the closest major airport is Sydney Kingsford Smith International Airport. January in Sydney sees daily highs of 32°C and lows of 23°C at night. Wrap up your sightseeing on the 15th (Tue) to allow time to travel back home.